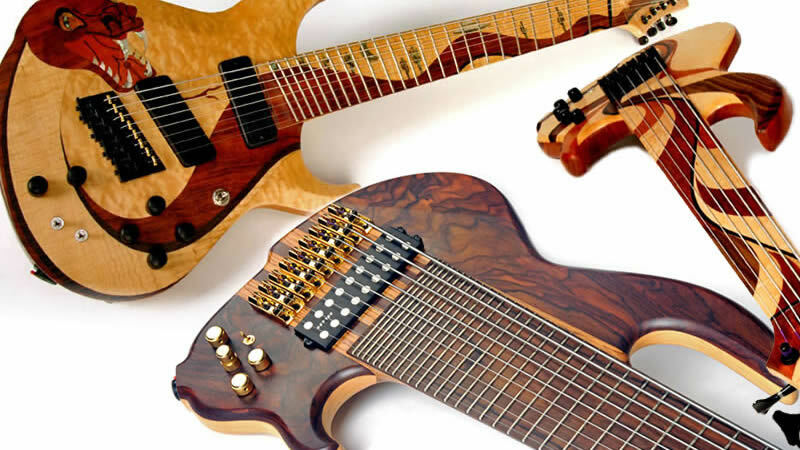 SPRINGFIELD, MO – April 8, 2015 – (GuitarPR) – Conklin Guitars and Basses is celebrating 30 years in business with a retrospective look back at three decades of magnificent custom instruments. Conklin has become famous for pushing the limits and extending the boundaries of traditional thinking regarding electric guitars and basses since 1984 and has created a stunning “time capsule” on their website that displays a vibrant visual history of some of their greatest works. While Conklin Guitars and Basses has become known for its many unique creations and exclusive innovations over the years, nothing sets them apart from the pack quite like their spectacular “Melted Top” instruments. The process of making Melted Tops is a radical departure from the standard book-matched top (i.e. figured Maple tops) seen on so many guitar manufacturer’s products. These and many other original creations are on display now in the Conklin Time Capsule. The Conklin Time Capsule is on display permanently and can be viewed at http://conklinguitars.com/time_capsule.html. Founded in 1984, Conklin Guitars and Basses is located in Springfield, MO and designs and builds unique, original custom instruments for discerning musicians worldwide. More information is available at http://conklinguitars.com.